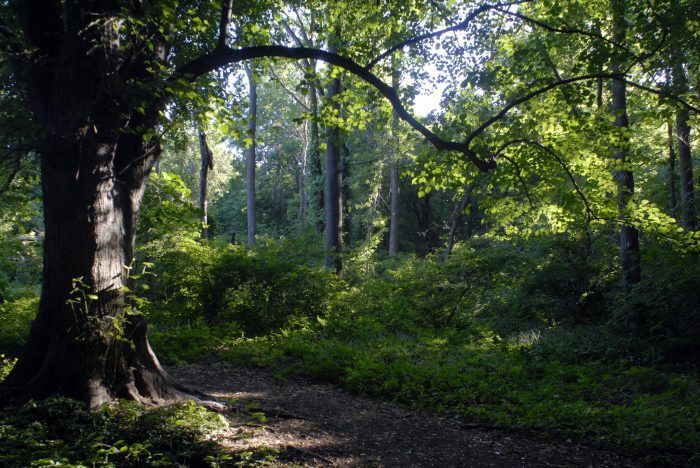 In the heart of Staten Island is 2,800-acres of nature’s rugged beauty — the Greenbelt. 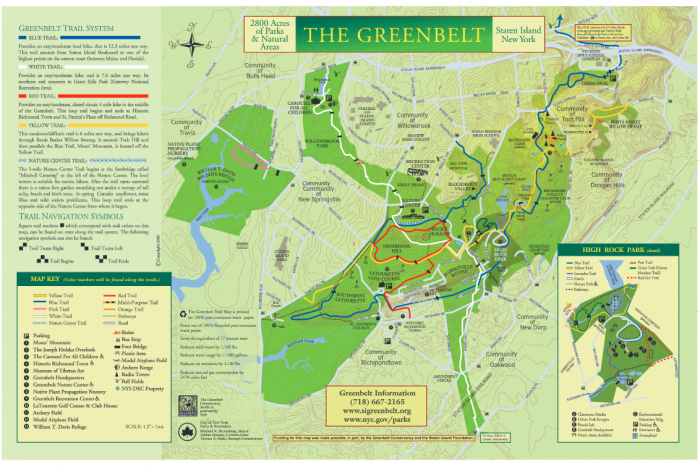 The Greenbelt features mature forests, wetlands, meadows, wildlife, over 35-miles of well marked hiking trails and a multipurpose trail. The mostly flat 2.6 mile circuit, multipurpose trail, has a crushed gravel surface and six-foot wide walkways. It extends westward from Rockland Avenue along Forest Hill Road hugging the perimeter of LaTourette golf course toward Richmond Avenue. The Yellow and Blue trails intersect the multipurpose trail here (see trail map). About midway, a leg of the trail branches off toward Historic Richmond Town/St. Andrews Church at Old Mill Road at the base of Richmond Hill Road (aka Snake Hill). To make a loop, take the Blue and Red trails or follow Rockland Ave and Richmond Ave to Old Mill Road. There are numerous bus routes that access the Greenbelt Nature Center. For access from the ferry, take the SIR to New Dorp then take the S57 to the Rockland Ave./Brielle Ave. stop. It is appropriate time to make some plans for the future and it’s time to be happy. I’ve read this post and if I could I wish to suggest you some interesting things or advice. Perhaps you could write next articles referring to this article. I desire to read even more things about it! Usually I don’t read article on blogs, however I wish to say that this write-up very pressured me to check out and do it! Your writing style has been surprised me. Thank you, quite nice article. You made some first rate points there. I looked on the web for the issue and located most individuals will go along with together with your website. now not positive whether or not this publish is written by way of him as no one else recognise such special approximately my trouble. post to him. Fairly certain he’ll have a good read. I appreciate you for sharing! Numerous options, incuding 2.6 mile circuit trail. For access from the ferry, take the SIR to New Dorp then take the S57 to the Rockland Ave./Brielle Ave. stop.